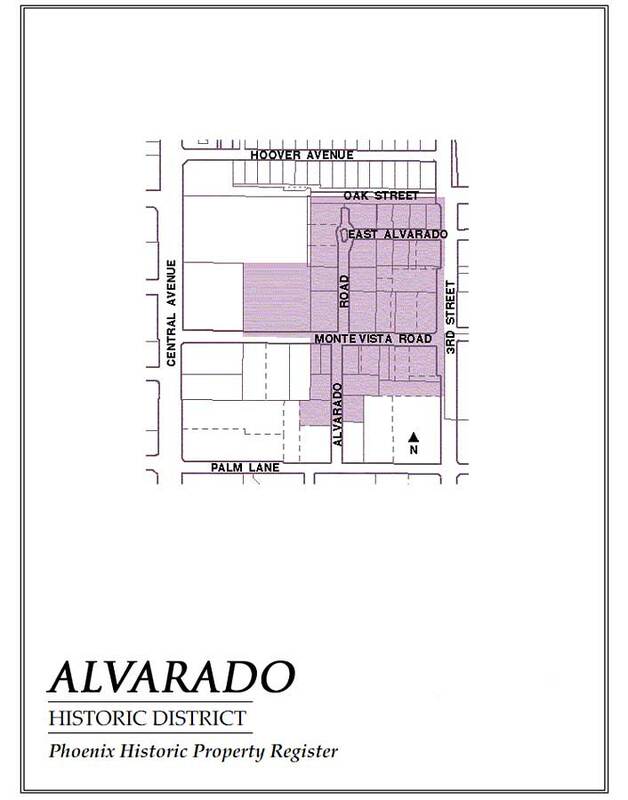 Alvarado Historic District is located along the intersection of Monte Vista and Alvarado roads, extending north to Oak Street, east to Third Street and south toward Palm Lane. The Alvarado Historic District, one of the smallest and most exclusive districts in Phoenix, is a well-hidden gem in the central core. If you have ever gotten lost trying to find the Heard Museum and were wowed by the expansive green lawns and the stately Spanish and Mission-style homes with second-story wrought-iron balconies, you were probably driving the tree-lined streets of the Alvarado Historic District. Sometimes referred to as Alvarado Place, the custom-designed homes of the Alvarado Historic District are an easy walk to the light rail along Central Avenue, with the heart of downtown just minutes to the south. Alvarado, one of the most prestigious suburban addresses to have at the time it was developed, is now one of Phoenix’s most prestigious urban neighborhoods. The world-renowned Heard Museum and private University Club of Phoenix are historic neighbors. 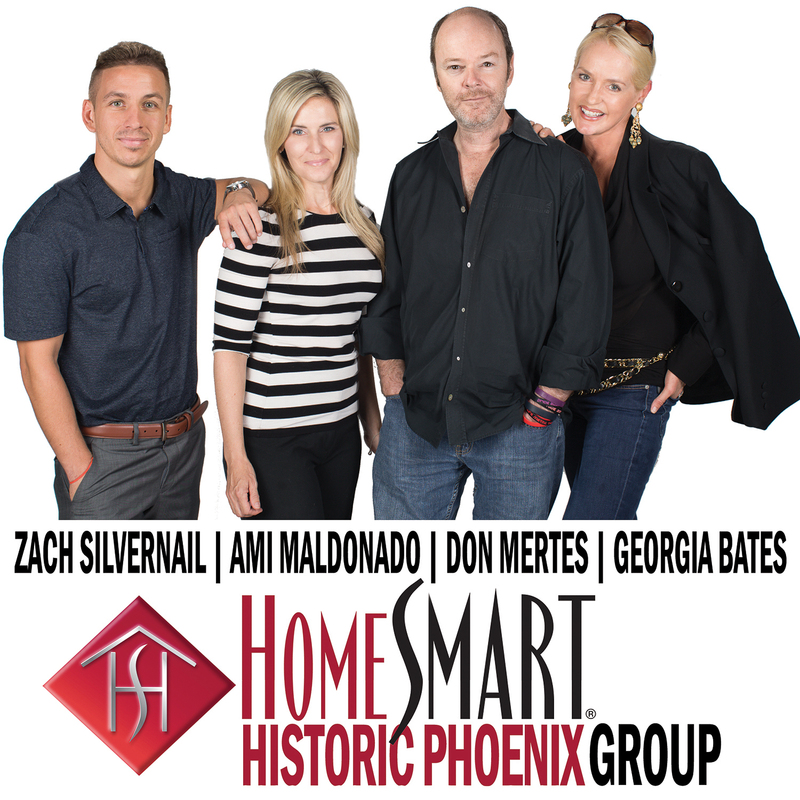 In fact, the Heard home (originally built on the site that the Phoenix Towers now occupies) was the very first home built in this neighborhood, an impressive Spanish Revival with a generous 6,000 square-feet of living space on acres of land. True to Mr. Heard’s original vision for Alvarado as a neighborhood filled with upscale estate-sized homes, most of the Mission and Spanish Revival custom-designed homes in Alvarado tend to be between 3,000 and 5,000 square feet, with a minimum of 3 bedrooms and 2 baths, and a 2-car garage. A Colonial Revival or Craftsman Bungalow might be a bit more modest, but hardly ever smaller than 2,000 square feet. The grounds are on a grand scale too, usually with a swimming pool on 1/4 acre or more of land. If you love the Encanto-Palmcroft and Country Club Manor neighborhoods but would like to be closer to the central corridor, The Alvarado Historic District may be your place. 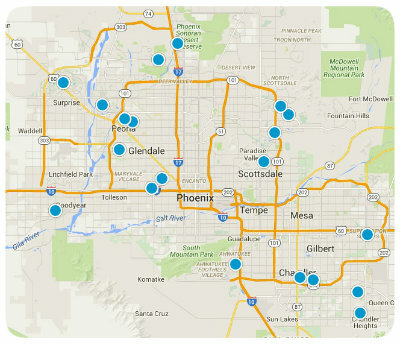 But be forewarned: there are only about 30 homes in this exclusive Central Phoenix neighborhood. Don’t miss your chance when one does come up for sale. The Mid-Century Modern Phoenix Towers (2201 N Central Ave) is not included in the boundaries of the Alvarado Historic District but is recognized on the National Register of Historic Places. Phoenix Towers offers a maintenance free, high-rise lifestyle if you prefer that, putting you at the same great location but adding stunning city views from your balcony and the rooftop terrace.